My eldest sister in law follows by blog and she gave me this recipe for Badam Jaali. Badam Jaali is a sweet made with Almond as the base ingredient. 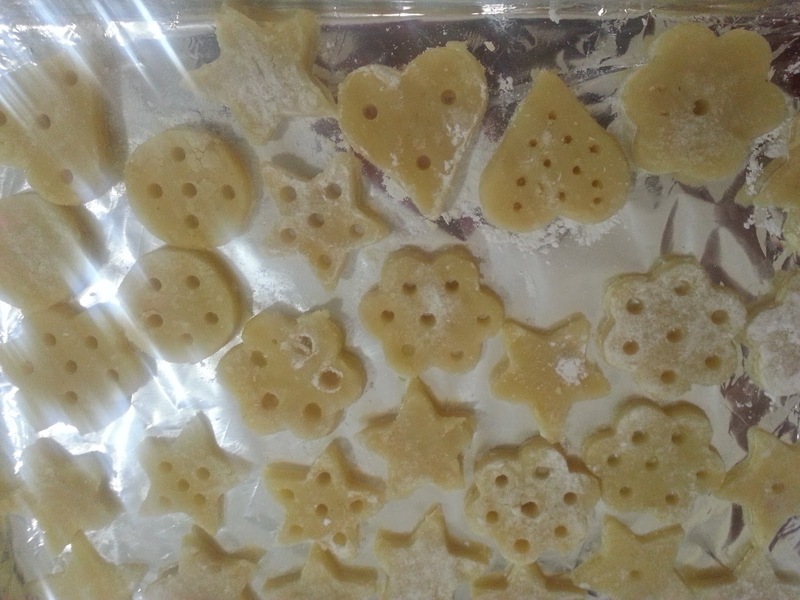 Some recipes call for only sugar in addition to almond while some other use sugar and khoya. This recipe uses milk and ghee in addition to sugar and almond. It takes quite a lot of effort in preparing as the mixture needs to be cooked with continuous mixing. The results are worth the work as it tastes really good. My husband has named them Badam Katli as they taste like Kaju Katli. 1. 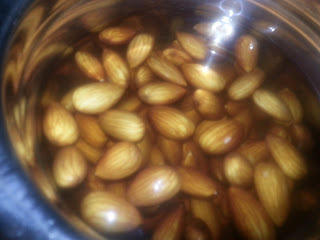 Wash and soak almonds overnight in water. 2. In the morning peel them and wash them again. 3. Grind the almonds to a smooth paste using some of the milk. 4. In a cooking vessel preferably non-stick, add the almond paste, sugar, ghee and the remaining milk and mix well. 5. Place it on medium-low flame and start cooking with continuous stirring. 6. It has to cook from a batter like consistency to a dough like consistency. 7. It requires lots of hand strength to keep stirring. Some spluttering also happens as it cooks and thickens. 8. Do not scrape and include the mixture that turns brown by sticking on the sides. You should discard them. 9. Remove to a bowl and let it cool down for handling with hands. 10. Take a portion of the dough and roll it to ball with your hands. Then roll it to a disc by dusting generously with icing sugar. 11. Cut shapes of choice using cookie cutters and make designs using a toothpick or skewer. I just made holes using a drinking straw. 12. Place them on a tray and let them air dry for a few hours. 13. Store them in an airtight container and consume within a couple of days as milk is used. 14. You can also bake a few of them just till they turn brown. I welcome you to my blog Shweet Aara Spicess. Badam jaali is a traditional sweet which was brought to my recent attention by my sister in law. 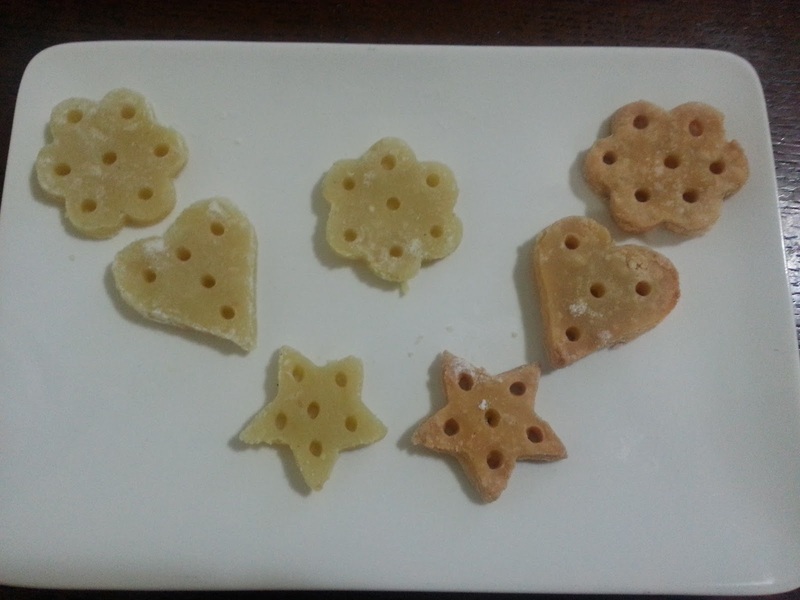 Beautiful patterns are made on the barfi. What I have done is just an attempt as a starter. Loved the taste.